Jonathan Odell is the author of the acclaimed novel ﻿The Healing﻿ (Nan A. Talese/Doubleday), explores the subversive role that story plays in the healing of an oppressed people. His first novel,﻿ ﻿The View from Delphi﻿, ﻿ deals with the struggle for equality in pre-civil rights Mississippi, his home state. .
Odell’s short stories and essays have appeared in Stories from the Blue Moon Café (MacAdam Cage, 2004), Men Like That (University of Chicago Press, 2001), Letters of the Twentieth Century (Dial Press, 1999), Breaking Silence (Xanthus Press, 1996), Speakeasy Literary Magazine, Savannah Literary Journal, Commonweal Magazine, and Utne Reader. The View from Delphi was the Spring selection for “Talking Volumes,” the joint book club of Minnesota Public Radio, the Star Tribune and the Loft Literary Center. Born in Mississippi, Odell grew up in the Jim Crow South and became involved in the civil rights movement in college. He holds a master’s degree in counseling psychology and has been active in human resource development for over 30 years. He has held the position of Vice President of Human Resources for a Minneapolis based corporation and later founded his own consulting company. In that field he published Work Skills for Teams and Courageous Conversations, a revolutionary approach to diversity training. These programs have grossed over a million dollars in sales to organizations such as General Mills, Prudential Insurance Company, Blue Cross Blue Shield, Hewlett-Packard, and Avon. Odell also built a successful practice as a Leadership Coach to executives in Fortune 500 companies. In 2003, along with Minneapolis civil rights leader and city councilperson Don Samuels, Odell founded the Institute for Authentic Dialogue to spark conversations across race. He appeared before thousands of business executives, clergy, community and government leaders, and educators, teaching the skills for authentic dialogue through sharing his own race story. Last year Odell was given the opportunity to design and implement Heart Jumps!, a literary intervention for elementary and middle school children that uses story creation as a way to increase a child’s love for reading and writing, self-esteem, and classroom safety. The program will be piloted in two Twin Cities school districts this fall. Minneapolis Star Tribune, St. Paul Pioneer Press, and Minnesota Public Radio have all done feature stories on the work Odell is doing using story to bridge personal, racial, and cultural differences. 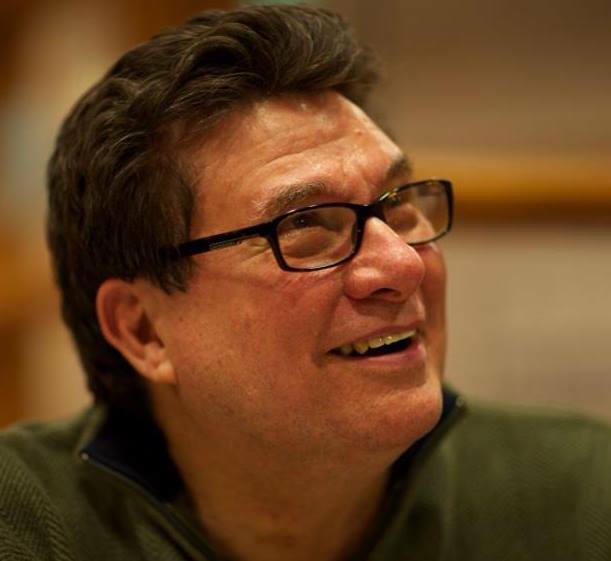 He has appeared on radio and TV across the country and has been a regular commentator for Minnesota Public Radio. With his husband, award-winning artist Jim Kuether, Odell is completing an illustrated children’s book, Just Call Me A Dinosaur. Odell is presently putting the finishing touches on a volume of personal essays tentatively titled: Growing Up a Gay Fundamentalist Southern Baptist in Mississippi, or, God What Were You Thinking?